The Fauzi Azar Inn is a 200 year-old Arab mansion turned guest house, offering both dorm beds and private rooms in a unique ‘old-world’ atmosphere. Hailed by Lonely Planet in 2007 as “one of the highlights of a stay in the Galilee” and “a great base for touring major sites of the Galilee,” the Fauzi’s style is both intimate yet laid back, with a warm atmosphere where guests and staff can meet, both to swap travel tips and share their stories. The inn itself is located in the heart of the Souq (Market) Quarter of the Old City. Just one minute by foot from the vegetable market, and only a few minutes from a host of restaurants and coffee shops, you are never far from anywhere. 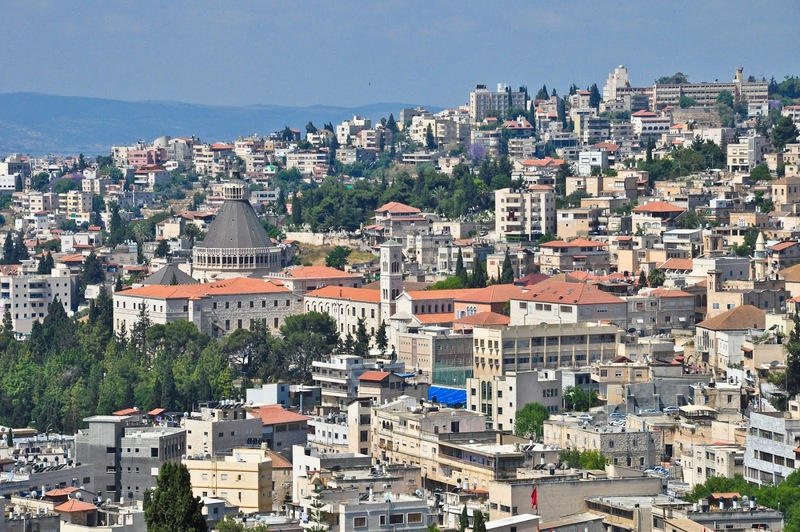 All of Nazareth’s major attractions, including The Basilica of the Annunciation, the White Mosque and St. Gabriel’s Church are only minutes by foot from the Fauzi. Wandering through the narrow streets of the Old City is a delight in itself and both the Fauzi and other vantage points nearby afford wonderful panoramic views of Nazareth. Historically, the Fauzi was an inn owned by the Azar family, reknown as one of the richest and most powerful families in the Galilee. Built in stone, in the 18th-century, today the Fauzi is a three-storey building, incorporating several impressive features including a six-metre high, hand-painted ceiling, a Turkish marble floor, a magnificent main living area with panoramic views, and a courtyard decorated with stone arches. 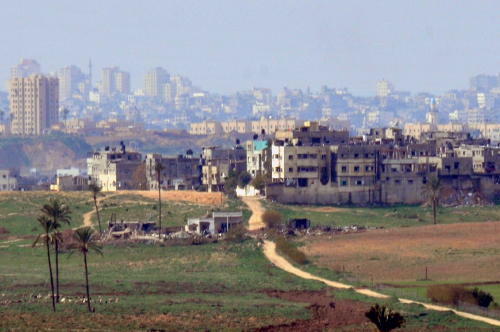 Experience ‘off the beaten track’ Nazareth with a city tour, led each morning at 10:00 am by our own guides, all of whom are happy to share their historical knowledge and personal reflections of Nazareth’s rich past to the group. Back at the inn, feel at home with a cup of Arabic coffee and a slice of home-made cake (baked daily by our own staff). Relax in the spacious living area, enjoying breathtaking views of the city, or bask in the sun on our elegant terrace. We also have a small library and a range of board games, which you are welcome to borrow. Finally, with our free wireless internet facility, you can always be in touch with friends and family. 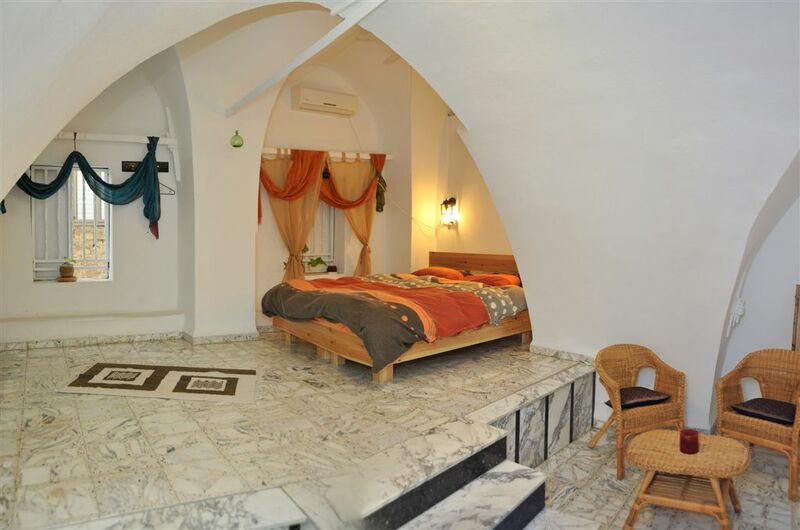 Consider the Fauzi Azar Inn your home away from home…and welcome to Nazareth. We believe in giving our customers the high standards we enjoy so much while traveling. High quality at an affordable price is our motto. 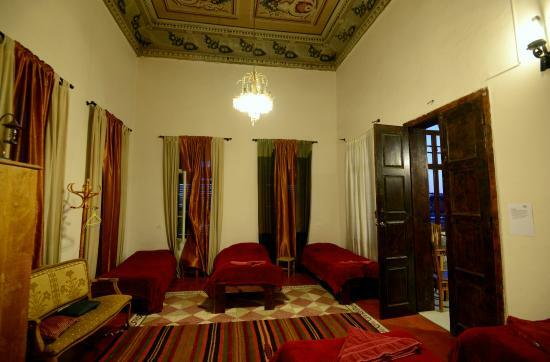 The Fauzi Azar Inn consists of ten rooms and can accommodate up to sixty people. 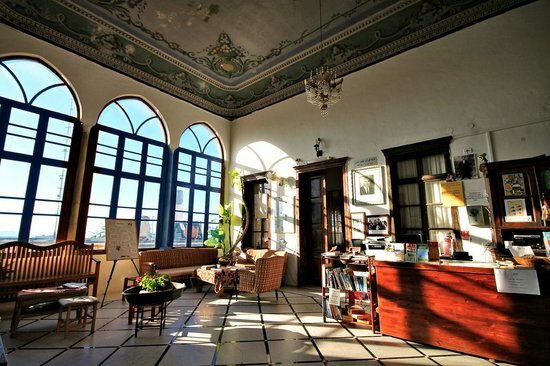 No two rooms in this 200-year-old Arab mansion are alike! Each room has its own unique style and character. Every room is very comfortable and thoroughly clean. All rooms except 1, 2, 3, & 7 include a private shower and toilet. These three rooms are right off of the main lobby and similar in structure. With six-meter high ceilings and numerous windows, the rooms feel very open and spacious. Rooms 1 and 2 contain gorgeously hand-painted ceilings dating back to 1880. These magnificently designed rooms are ideal for families or small groups. Comfortably accommodates four to six people. This beautiful room is ideal for four people. It is conveniently located right next to the front balcony, kitchen, and main lobby. This room has a small entryway, which makes it charming and quaint. Wonderful for couples. The wooden floor and ceiling make this room very cozy. The lovely maroon curtains add a perfect touch of eloquence. Absolutely perfect for couples. This six to eight bed mixed dormitory is definitely one of a kind. The uniquely painted floor with its vibrant colors makes the room come alive. The dorm is quite spacious and has excellent lighting. These three beautiful rooms are situated between the courtyard and the hall. They are newer, very roomy, and feel just like home. Excellent for small groups looking for a suite or for three couples wanting more privacy.